What’s that delicious smell? It’s the aroma of reduced regulation. In an effort to encourage more mobile dining options, the Eau Claire City Council has amended the city’s food truck ordinances. 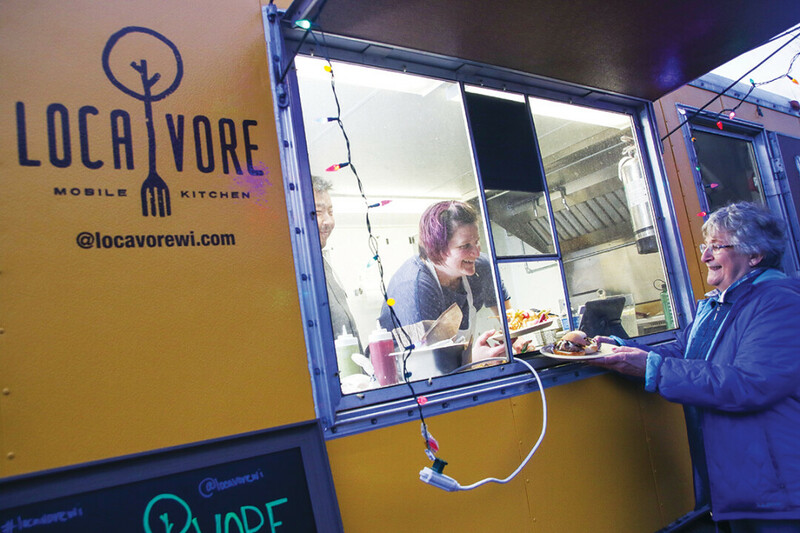 The amended ordinance, which was approved unanimously by the council on May 22, cut food truck license fees, extended license periods, expanded hours of operation, and opened more areas to food trucks. Specifically, mobile food establishments – a.k.a. food trucks and cars – will be allowed within 200 feet of restaurants if those brick-and-mortar eateries provide written permission. In addition, food trucks will be able to operate from the same spot on a city street for up to six hours at a time. (Previously, the limit was four hours.) The council also eliminated the time restriction for parking in certain parks and designated locations as well as the one-night-a-week limit on food trucks in certain neighborhood parks. And the new rule trims the licensing fee for food trucks and sidewalk carts from $250 to $120 and extends the license period for first-time applicants. If they apply for a license between April 1 and June 30, the license won’t expire until June 30 the following year. However, the council voted to remove a measure from the proposed ordinance that would have added the city parking lot on South Farwell Street next to the Schlegelmilch House to the list of public places where food trucks can operate.